This is me saying Thank You over and over! Ha ha! I want to give one of my followers $100 to my store. Yup, that's right, $100. That would buy you a good portion of my products in my store. I also want to give EVERYONE an opportunity to choose one FREE product of your choice ($5 or less) if you choose to do numbers 1-5 below or already do! To enter, you can do one, some, or all of the following for an entry. Each entry needs to have your email address and what the entry is for. Even if you don't have your own classroom, think about using this as a gift to the k/1 teachers in your building or your children's teachers. I will be flexible how you use your $100 if you win (4 $25 for each team member, etc...). 4. Follow me by email (top right column of my blog). I don't think I have anyone who follows me by email, so this will be a new one for most. 5. Subscribe to my newsletter. If you are a MEGA MONKEY fan (you do all of the above), please let me know which FREE product ($5 or less) you would like from my store in one of your entries and I will send it to you by next weekend. 6. Blog about this on a Kindergarten or 1st Grade Blog with a link back to this post. Put the link in your comment please. 7. Share this on your Facebook page- it will be easiest to share it directly from my wall on FB becausse I already shared it there! 8. 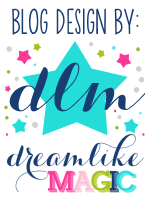 Add me to your Blogroll (Let me know (if you are a k or 1st teacher) and I will return the favor by adding you to my NEW blog roll). This giveaway ends on Wednesday at 12:00 a.m. ET. and the winner will be chosen by use of the Random Number Generator and announced on Thursday evening. If you qualify for a free $5 product, you will receive it by next weekend! I follow you and have shared on FB. Thanks for the contest! I have been reading your blog since before school started. Thanks for all of the great ideas! I just subscribed to follow you by e-mail. I already follow your blog, tpt store, like you on facebook and receive your newsletter. So now I am a "mega monkey". I love your ideas and products. You're an inspiration...keep it up! I think I may just be a mega monkey fan! I follow you on FB, am subscribed to your newsletter, follow you on TpT and follow your page...phew! Love all of your ideas. Thanks for sharing! I follow you on TpT and on your blog and facebook. You make me miss kindergarten! Thanks for the shout out today! You Rock! Following your blog! Great contest Krissy! I Love your TpT stuff! I am a mega monkey fan! I just added the e-mail following (had already done all the rest previously). Should I post multiple times or just once to cover all? I don't have a blog of my own or I'd share it there:) I would love your packet: K/1 Word Family Literacy Centers: Nonsense Vs. Real Words. Thanks for this great opportunity!! I'm a new follower on your blog. I'm also following you on TPT. I am now following your TPT store! I am now following you by email! I follow your blog on google. Love it! I'm a follower of your TPT store. I'm following you by email, too. I am a MegaMonkey now! =) I subscribed to your newsletter! I would love the Nursery Rhyme Dictionaries and Vocabulary Word Cards 10 sets. This is so great of you, thanks for sharing! I follow your teachers pay teachers store. I'm a mega monkey now! I'd love to have your kindergarten stamping centers, set 1. Thanks so much for sharing! I subscribe by email and am a Mega Monkey Fan now. I would love the Nursery Rhyme Pack. Thanks you so much for being so generous. I subscribed to follow you by e-mail. I follow your blog, tpt store, like you on facebook and receive your newsletter. I shared your link on my fb page! I signed up for the newsletters! I add you on my blogroll. I added your blog to my blog roll......thanks! I am a Mega Monkey Fan and would love your Kindergarten Stamping Set 1. I signed up through email! I am now following you... I thought I already was... where have I been? I follow you TPT store yeahhhhhh! Now, done all of it and I think I am a MEGA MEGA MEGA Monkey Fan!!!!! I would love to put you on my blog roll! I LOVE YOUR BLOG!!! Plus I love your design... we have the same design. And my class is the Marvelous Monkeys! I am a follower! I am a TPT follower! I would love your 3 Little Kittens Found Their Mittens Interactive Math Book. I shared your link on fbook and I'm following your blog! Thank you so much for this oppurtunity! Love your blog and fb! I follow your blog! It's one of my favorites! I am a MEGA MONKEY (hehehe) and I would LOVE the turkey in disguise packet! I am a Mega Monkey fan too and I love reading your blogs. I love all your products so you could just surprise me. I follow you on your blog, on fb which I shared with others and on tpt too. Thank you for all you do. Kinder teachers everywhere are so lucky to have bloggers like you to get great ideas. I am following our blog! I am following your TPT store. I love your products! And finally to make me a mega monkey fan I signed up for your newsletter. I would love to try out the Stamping Center Set 1. Tank You! I am a Mega Monkey fan! I just signed up to get your emails. I'd love your Disguise the Turkey unit! You are already on my blogroll! Thanks for having me on yours! Following now -- even though I said I could not possibly add another blog to follow -- couldn't resist! I am following you at TpT as well. I subscribe by e-mail now. I have subscribed to your newsletter :0) ! I "like" you on FB too! I have been following you by email. this now makes me a mega monkey fan! it was hard to decide what to choose from your store...thank you for this freebie! Your generosity is appreciated! I wish I could say I was a new everything; however, I have been following your fabulous stuff for some time now. The only thing new is the email. I signed up to receive your email. I'm subscribed to your newsletters! And I follow your TpT store! I think that's everything. I am a MEGA MONKEY fan! I would LOVE a copy of your sight word stamping centers to go set 1. Thank you!! I have been a follower of you by e-mail. I love your ideas. I just made myself a Mega Monkey fan! I love all of your creations. Thank you for sharing! I'd like to get the Kindergarten Stamping Centers set 1 for the $5.oo and under gift! Thanks again--I Love Your Stuff!!! I am registered to get your newsletter. My friends are so excited that I shared your contest on facebook. Yay! I am a Mega Monkey Fan ... I would like your Kindergarten Stamping Centers: Set 1 please. Cannot wait to use it!! I follow your blog! Love all your ideas. I am a new email follower! I do subscribe to your newsletter. I shared this on my facebook page, too! Can you tell I would love to win. I have tried to enter some other contest but I wasn't able to post a comment. Finally figured out how to make it work! Yea Me!! I would love to have Your popcorn Word Pokey Pin! Thanks, I can't wait to see it! I think you're wonderful!! I now follow you by e-mail. I subscribe to your news letter. That makes me a MEGA MONKEY fan! I would love to have your Kindergarten Stamping Centers Ready To Go Literacy Centers: Set 1. Thank you so much for sharing. I talk about you to my team all the time! I am DEFINITELY a MEGA MONKEY fan!! I LOVE all your stuff on TPT.. would love the Turkey unit or the M.O.N.K.E.Y binder unit! Thank you for being so generous! Shared your link VIA Facebook! I subscribe to your newsletter. thank you! I follow you by email now! I shared your post about this on FB! I would love to have your Kindergarten Stamping Centers Ready To Go Literacy Centers: Set 1! I'm a new follower on your blog and by email. I would love to have the stamping center set 1 or 2 for my kindergarten literacy center. Thanks for the contest. I am following you on Tt. I am a MEGA MONKEY fan and would love the "Disguise the Turkey" Unit! :) Thank you!! What if you already do all the things above? Are you not eligible to enter the contest? I follow you by email. I am a "MEGA MONKEY fan" and would like to have the "Kindergarten Stamping Centers Set 2". Thank you! Kinder Teacher, You are DEFINITELY still eligible. You can have one entry per "thing" you already do. This is a thank you to old fans and new, join up! I'm also one of your TPT followers. I'm one of your new fans on FB. Hi - I subscribe to your newsletter and am following you in TpT. I absolutely love your products and think what you do is very inspiring! Keep up the great work! You are making teaching fun! Shared this on my blog! I'm a mega monkey fan! I would love the phonemic awareness boards! I liked you on Facebook and added you to my email. I already follow you TPT. If I won, I would love a year's worth of math/ lit centers. I follow your TpT's store! I am a Mega Monkey fan! I would like the Turkey in Disguise Unit. Thanks! I'm following your store. Keep them coming!